4 of 13 - Example of a similar property in the development. 5 of 13 - Example of a similar property in the development. 6 of 13 - Example of the type of finish in the property. 7 of 13 - Example of the finish of the property. Did you think a brand new modern home, on a freehold title, in a great Orewa location was out of reach? If so, this well-planned development of stylish contemporary brick and weatherboard townhouses is a must view. These wonderful homes are light and sunny with designer kitchens, open plan living and double internal access garaging on the ground floor. Upstairs a smart layout offers four bedrooms, an extra living area and two bathrooms. Thoroughly insulated, with double glazing throughout and modern design and construction these eco homes are future proofed for comfortable efficient living. 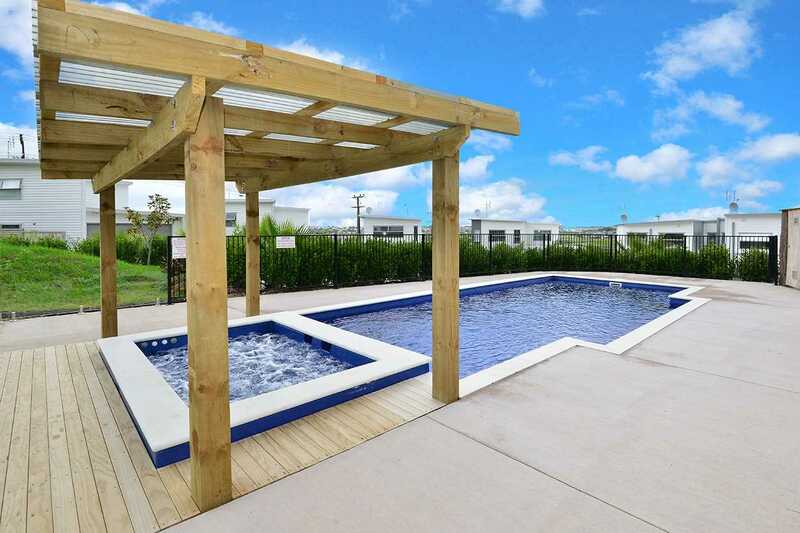 The development sits in an elevated position close to both Orewa Primary and Orewa College, just minutes to the motorway and a short walk away from local restaurants, shops and day care facilities. The clever planning of this development means each home is very low maintenance and could suit as a lock-up and leave. However, with a share of the park and resort like grounds, including swimming pool and heated spa, tennis court, playground, visitor carparking and more you will have plenty of room to spread out during those nice outdoor days too. These fantastic homes have been selling well and filling up fast, 17 & 18 due later this year make sure you get in quick to secure your choice of now.